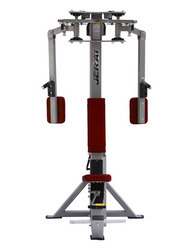 Specifications :-This machine reproduces adduction and abduction movements of the upper limbs, on the transversal plane, involving agonistic and antagonistic muscle chains. - Easy to use for all.The shaped seat, inspired by automotive design, guarantees stability and comfort during exercise. Bodybuilding is the use of progressive resistance exercise to control and develop one musculature. Finish: High Quality electrostatic powder coat finish. 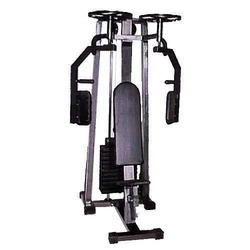 We are offering Pec Dec Machine to our clients.